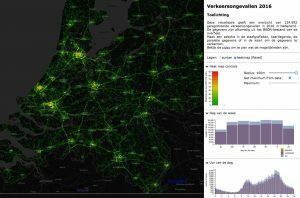 Check the awesome heatmaps of traffic accidents in the Netherlands at https://verkeersongevallen.info/. Find hotspots and trends of deadly traffic accidents from 2003! We’re proud that WebGLayer becomes popular!